In August 1937 a magazine changed the life of a 24-year-old dining-car waiter on the Northern Pacific Railway. Inspired by the issue’s images of dispossessed migrant workers roaming the highways between Oklahoma and California, Gordon Parks (1912–2006) decided to take up photography. In 1940 he quit his railroad job to become a professional phaotographer, which was the start of a pioneering 60-year career. Previously a musician and composer, Parks later became a renowned novelist and filmmaker, but photography remained the core of his endeavors. Gordon Parks: The New Tide, Early Work 1940–1950 is the first exhibition to trace Parks’s evolution from an accomplished, self-taught photographer to an independent artistic and journalistic voice. What a heady decade the 1940s was for this young black man raised in poverty in segregated Fort Scott, Kansas. He became immersed in the Chicago Black Renaissance and developed friendships with authors Richard Wright, Langston Hughes, and Ralph Ellison. 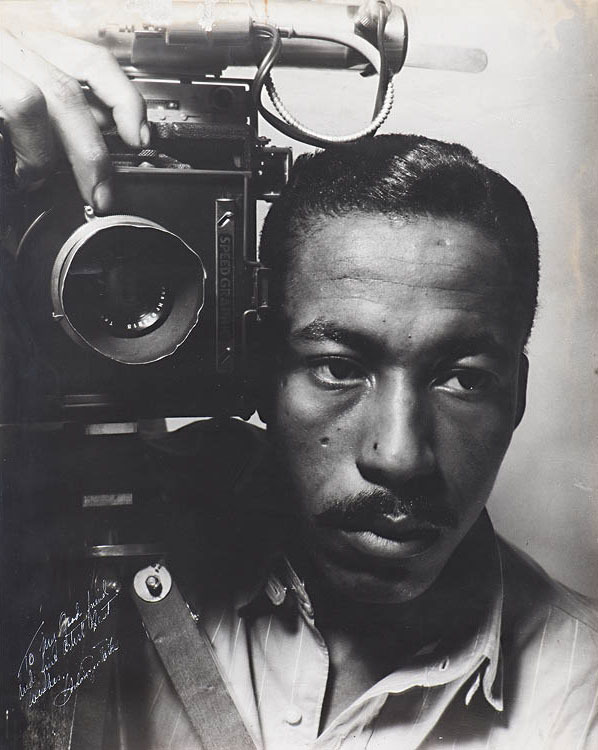 He traveled throughout North America, first working for two federal agencies documenting African American life during the early days of World War II, then photographing the operations and impact of Standard Oil Company (New Jersey). And in 1949 Parks became the first African American staff photographer at Life, one of the picture magazines crafting a new visual culture that was influencing social change in America. Parks’s decision to become a photographer was imbued from the start with a clear purpose. “I saw that the camera could be a weapon against poverty, against racism, against all kinds of social wrongs,” he wrote in 1999. “I knew at that point I had to have a camera.” Having personally experienced racism, poverty, and discrimination, he understood and empathized with the sufferers of inequities whose stories he portrayed. His most celebrated image tells just such a tale. Washington, D.C. Government charwoman portrays Ella Watson, a black woman who worked at night cleaning the offices of the federal agency that employed Parks as a photographer. 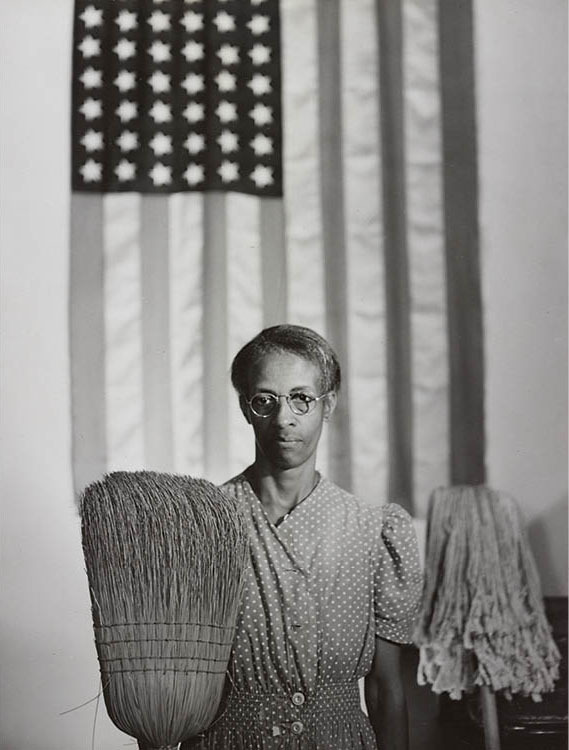 Watson stands erect and stoic in front of an American flag, flanked by the tools of her trade: the broom and the mop. Parks took the image in July 1942; years later he retitled it American Gothic. He offers an urban, African American counterpoint to Grant Wood’s famous painting of a fictional American farm couple exemplifying rural life and values. Both portraits honor hard work, but the rewards reaped by the duo in Wood’s painting would have no doubt exceeded those earned by Watson, who after 26 years of cleaning government offices could advance no further because of her skin color. Watson’s now iconic portrait did not appear in print until March 1948 when it was published in Ebony, a picture magazine founded two years earlier and aimed at the African American market. Parks went beyond just a single portrait of Watson: she and her work, family, neighborhood, and religious life became the subject of his first extended photo story. It was an art form at which he would excel and that was especially suited to picture magazines like Ebony and Life. This exhibition provides in-depth selections from Parks’s photographic essays, which addressed vital social and cultural issues, including the contributions to the war effort of the Tuskegee Airmen, the results of school segregation in Parks’s hometown, and the world of a 17-year-old Harlem gang leader. Included alongside a number of individual images are the artist’s contact sheets, which contain prints of several negatives on a roll of film. Intended to allow him to quickly scan the results of a shoot and easily share them with photo editors, the contact prints offer viewers unique insight into Parks’s working practice and thought process. The fashion images and portraits that Parks made for African American newspapers in Minneapolis and St. Paul in 1940–42 brought the extra income and recognition that allowed him to become a full-time professional. His ability to shift between documentary work and other genres contributed to his later success at Standard Oil and the picture magazines, including Life, which sent him to cover the Paris fashion shows, among other stories. His fashion shots and social and celebrity portraits of African Americans had societal and personal impact. They helped the sitters define their own identity and fight against negative representations of black culture. Such images were morale boosters, too. Not only the sitters but the photographer himself provided proof that success was possible even in the face of racism. 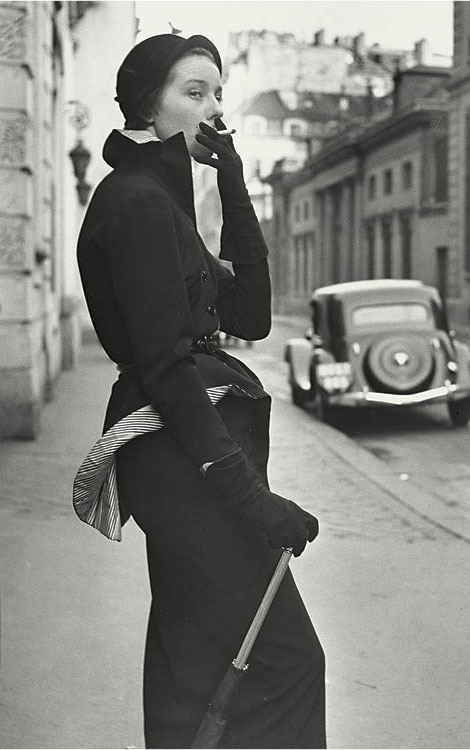 In the span of 10 years, Gordon Parks moved from working as a railway porter to the offices of Life magazine. During the ensuing decades, he became one of the preeminent documentary photographers and photojournalists of his generation.